A fresh, clean and modern piece using Zebrano, a South African timber chosen for its complimentary grain figure. 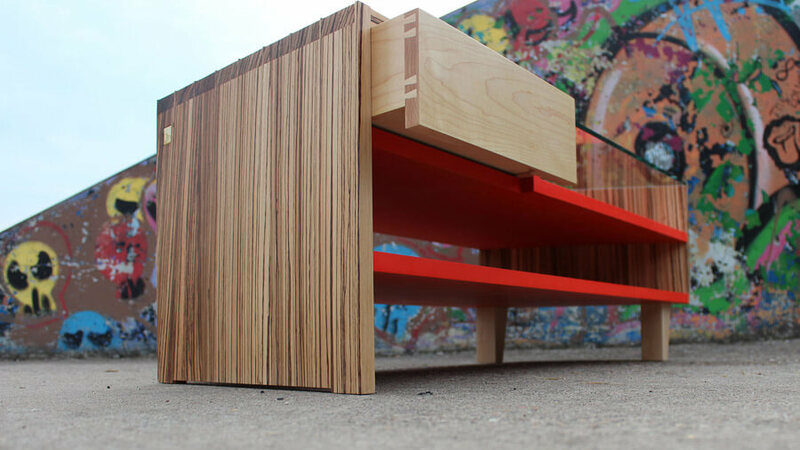 Maple has been used for the drawer and feet, with a splash of vibrant colour for shelving. 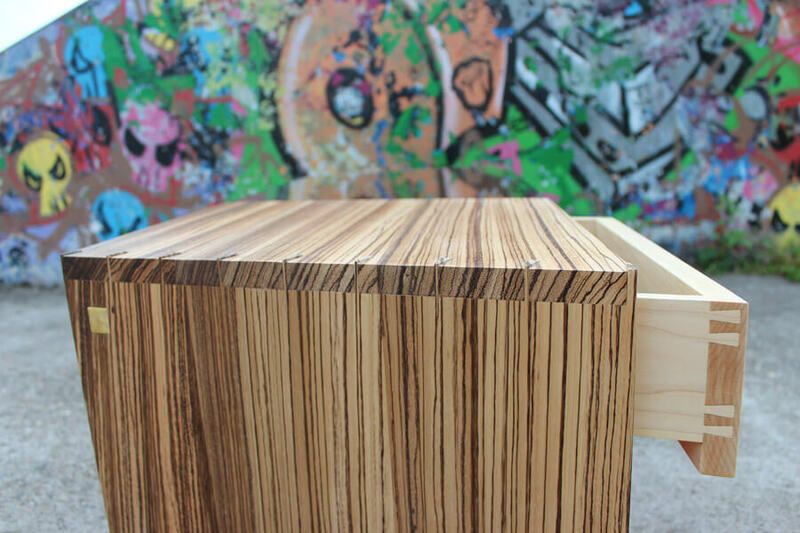 The Zebrano is jointed using fine dovetails. 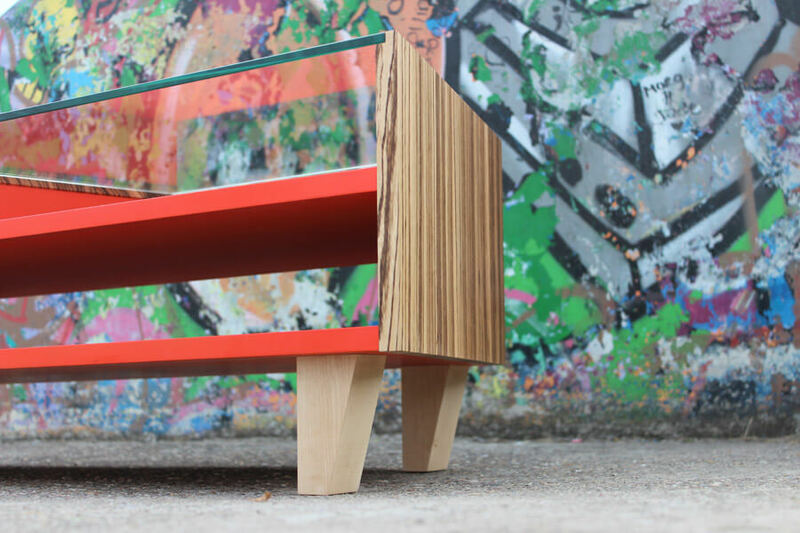 This table fuses traditional and contemporary design language. 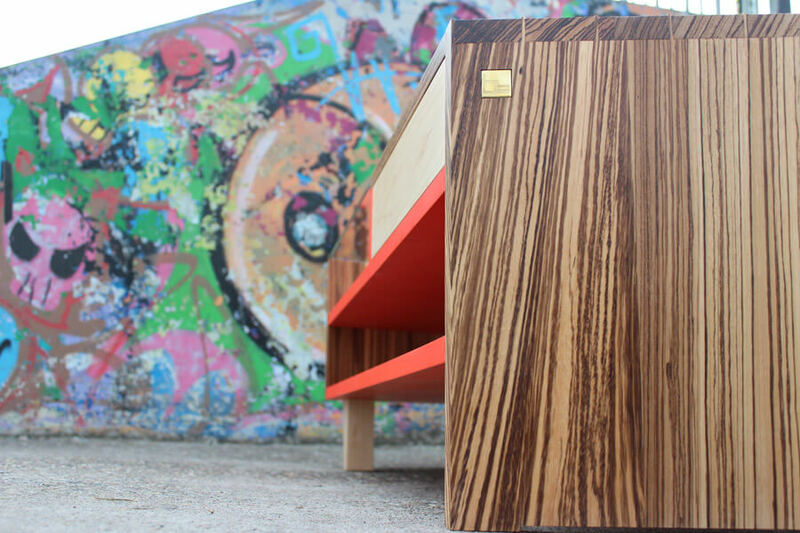 The dovetailed drawer does not pull out in a conventional manner; it pulls out on an angle following all lines of the table. 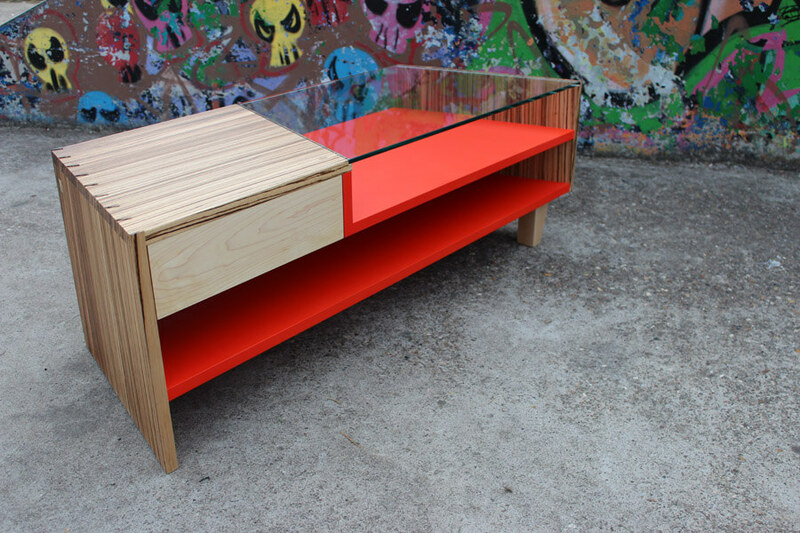 A modern coffee table with unique visuals at every angle.